The 80-year-old Australian-American is the chief executive officer of News Corp., which owned, via News International, the embattled and now defunct tabloid the News of the World. 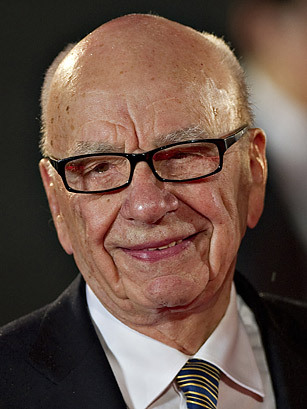 Rupert Murdoch has personally taken charge of the media giant's response to the phone-hacking scandal. In addition to appearing before the British Parliament on July 19, 2011, to answer questions about the controversy, he shuttered the 168-year-old News of the World and, in light of growing opposition to his plans, pulled out of his bid to acquire full ownership of satellite broadcaster BSkyB. See pictures of Rupert Murdoch's long and winding career.